While we were doing Katja’s photoshoot at the beautiful Spice Garden in Penang, Malaysia, I saw an amazing, enormous tree. 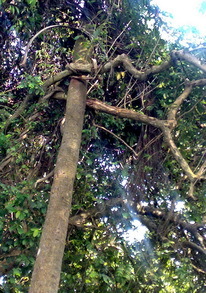 As I went up to take a closer look, I noticed that it was one big tree being choked off by some kind of parasitic vine. Looking at the tree, I started thinking about life and death, power and weakness, good and evil, positive and negative, the tides coming in and slipping away. I felt Nature was showing me that the strongest and most ruthless must survive in order to keep balance. In Nature, there is no time for socialist thoughts. There is just the ongoing battle for survival. But is this the only way for our world to survive? I find it heartwarming that in life we have an incredible gift that is free to all of us: Love. Because what I saw was Love standing above the struggle going on in that tree. Love is really what brings balance into the universe, not cruelty. Love puts the brakes on the horrible things that happen in life. It is the alternative to destruction and the endless struggle to survive. There is also a second gift we have: the gift of Creativity. Creativity, when combined with Love, makes the ultimate good in our world. When I started thinking about this, I thought about our people in R&D and realized how lucky I was to be working with people who are so creative and passionate about what they do. I thought about all the times I saw them in the lab mixing and smelling the ingredients, trying it out on their own skin and their co-worker’s skins (we don’t do animal experimentation so we have to be our own lab monkeys, haha). 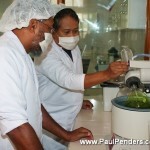 I thought about all the dozens and dozens of natural ingredients we use and knew that without the ongoing love and creativity of our staff, we could never make good products no matter how pure the ingredients. Let’s embrace these gifts from God and extend them to others. Share, give and be more happy. 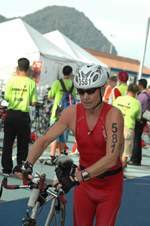 On Saturday, February 27, the annual Langkawi Ironman contest takes place, and – as last year – Paul Penders are sponsoring the now 55 years old New Zealander Leslie McMillan. We had a Pre-Race interview with Leslie two days ago – it can be read here – but today we will concentrate more on what it means and involves being a sponsor for an Iron Man. 13 hours, 17 minutes, and 22 seconds. 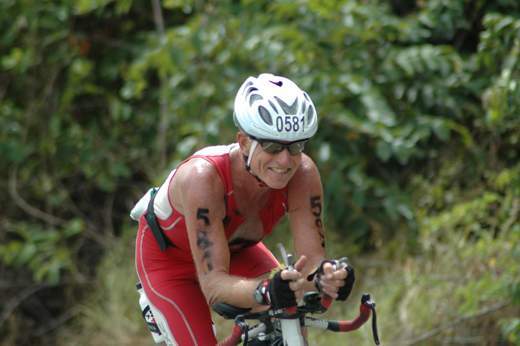 This was the time Leslie McMillan was exposed to the burning tropical sun during last years Langkawi Ironman contest. And it IS tropical sun. Langkawi, in Malaysia, is located only 5 degrees north of Equator. The weather forecast for Saturday’s race promises a sunny day, with temperatures very constant at 30 degrees (86 F) during all day. It is obvious that a whole day in the sun means an enormous skin exposure to the sun. Sunburns and dry skin would be the inevitable result, was protection not used. So, to protect against the grueling sun, Paul Penders Herbal Sunscreen SPF22 is applied to Leslie’s face, arms, hands, and legs before the race. Before applying the Herbal Sunscreen SPF 22, a foundation of Paul Penders Aloe & Lavender A.M. Moisturizer is used on all skin areas. This is to preserve the skins natural moisture level. Since the contest starts with a 3.9 km (2.4 mile) swim in salty water, the hair is an important thing to care for as well. Before and after the race, Leslie washes his hair with Paul Penders Time-Release Jasmine Shampoo, and as a conditioner, Paul Penders Herbal Lemon Conditioner is used. This, in combination, is the best thinkable preparation for Leslie’s hair before a swim in the salty water and the following exposure to the sun. 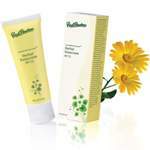 As follow-up treatment of the hair, Paul Penders Holy Basil Conditioning Scalp Toner is used for a period after the race. 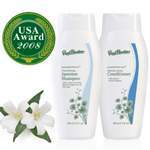 This is to ensure the correct nutrient intake, and to balance the sebum production, as well as to prevent dandruff, and to repair any damaged hair. Finally, after each training session – and there have been a lot of them – before resting, Leslie has used Paul Penders Ceramide Recovery Lipo A, C & E , which is a natural skin rescue treatment that helps retexture the skin’s surface, gives a smoother appearance, and has an immediate firming effect. Leslie might not win the race, but he will for sure be one of the best protected and well prepared contestants when it comes to personal hair and skincare. This year, Langkawi Ironman has 736 participants from 41 countries (as of 15 February). There will be more than 1.500 volunteers to help out during the race. Leslie will be able to tell. And he will certainly share his experiences during the race with us in an interview on the blog next week. Only one thing remains, and that is to say: Leslie, all of us from Paul Penders Co are full of admiration for what you are doing, and we wish you all the best on Saturday. This Saturday, Langkawi once again plays host to Ironman Malaysia, an international triathlon that is the part of the Ford World ironman series. The Langkawi Ironman is one of the most challenging triathlons in the world because it is held in February, the peak of Langkawi’s hot, rainless season. There’s probably no other triathlon that is held in such extreme heat. Over 700 athletes from around the world will compete in this grueling event, which features a 3.8 km swim followed by a 180 km bike race and then a 42 km marathon. Les Mcmillan, our Paul Penders-sponsored athlete, will be competing in his third Langkawi Ironman. He will be using Paul Penders Herbal Sunscreen SPF 22 to protect him from the blistering sun. LES: It is very hot in February and on race day it is possible to have the temperatures around 40 degrees on the bike course. Heat saps energy and it is crucial that adequate hydration is maintained. Water is not enough so fluids must contain electrolytes to replace the salts lost through sweating. It is a fine balance between drinking too much or too little. Every year, one can see the casualties of heat stress or dehydration being taken to hospital or receiving first aid in the medical tents. PP: Last year you had a good race and finished with a time of 13 hours 17minutes. This was an improvement of one hour over your results the previous year. You experienced difficulties in the latter part of the run which spoiled a better finish. Was that a result of the heat? LES: Yes, in a way it was related to the heat. In my case it was severe leg cramps with about 12 km to go. This can occur when there’s not enough salts left in the body. I had never experienced this before so it was a valuable lesson. I will have supplements in the form of Saltstick capsules with me on the run and hopefully the problem will not occur again. 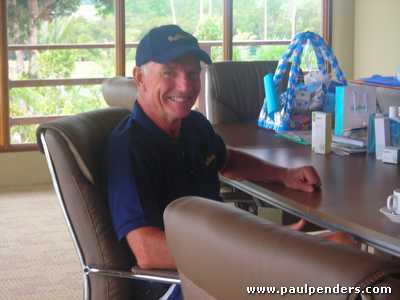 PP: You are often seen training on the roads of Langkawi months before this event. How much time do you need to prepare yourself for Ironman Malaysia. LES: I started preparing at the beginning of May last year. I roughly follow a program that takes me through a series of training steps over a period of 36 weeks. This demands a commitment of 6 days a week. Race fitness comes gradually and hopefully peaks around race time. Training times vary depending on the month. I have just finished a four week block which had 70 hours of training. PP: Tell us why anyone would participate in such a demanding sport? You will be 55 this year. What drives you to want to compete again and again in what many perceive as a younger person’s sport. LES: Well, you are only as old as you feel and there are lots of people my age and older here for the event. For me it’s all about challenging myself and maintaining a high level of fitness. On the day, I will try to go faster than last year but it’s the joy of participating with so many like-minded people that inspires me to keep going. Out on the course I will see people of all ages and abilities. Everyone will be doing their very best and it’s the mix of athletes, from as young as 18 to as old as maybe 80, pushing beyond their limits, that makes it such an exciting event for me. PP: Do you have any advice for someone wanting to become an ironman? LES: It’s a worthy goal and with the right preparation and courage it can be achieved. However, it’s important to realize that with the commitment there is a catch. It is easy to alienate family members. They have to endure the fact that your training regimes take precedent over family life. You need to find ways to keep their support. PP: You are a New Zealander by birth but represent Malaysia in this event. Tell us about your life in Malaysia. LES: I have lived in Langkawi for 15 years, so I consider this my home. My wife is Malaysian. We enjoy the tropical lifestyle here and have plans to build our retirement home soon. Our son Julius is about to start his own business. My wife Jackie is the driving force behind our popular beach front restaurant, Oasis. PP: Do you eat any special foods that help you get enough energy for the big day? LES: In the week leading up to the race I will eat a lot of pasta and rice dishes. This gives me lots of carbohydrates that will be broken down and stored in my muscles. I will also drink lots of fluids. On race day I will eat a good breakfast and maintain myself throughout the long day on powerbars and bananas, both which will provide carbohydrates. Most of this will happen on the bike leg, where tolerance for food is greater than on the run, where the stomach is easily upset. PP: Thank you, Les. And best of luck in the race. 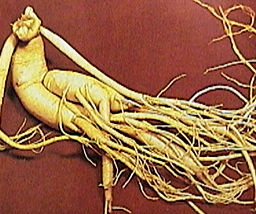 Ginseng root is one of slow-growing perennial plants with fleshy roots that grows in the Northern Hemisphere in eastern Asia such northern China, Korea and eastern Siberia. It has been used for centuries as an energy tonic as well as to treat a variety of health problems. Providing a cure for stomach ulcers. Providing a cure for diarrhea. e physical and emotional stress hormones secreted from the adrenal glands. Ginseng tea is slightly sweet at first but may have a strong biting or even bitter aftertaste. It is often mixed with chrysanthemum tea and be sweetened with sugar or honey. The first method for making ginseng tea is to pour boiling water over 3 to 5 thin slices of ginseng and let steep for 5 minutes. 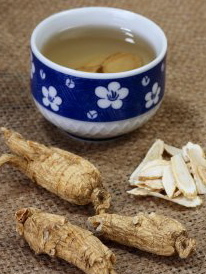 Or, try the Korean version of ginseng tea – Place thinly sliced pieces of ginseng rhizome in a ceramic, glass, or stainless steel bowl and add a few teaspoons of honey. Let sit for 30 minutes, and then pour boiling water over the mixture to make the tea. It can be served warm or cold as an iced ginseng tea. Store the tea in the refrigerator. Just two months ago, we featured a profile on Agate, our new Paul Penders distributor in the Baltics. 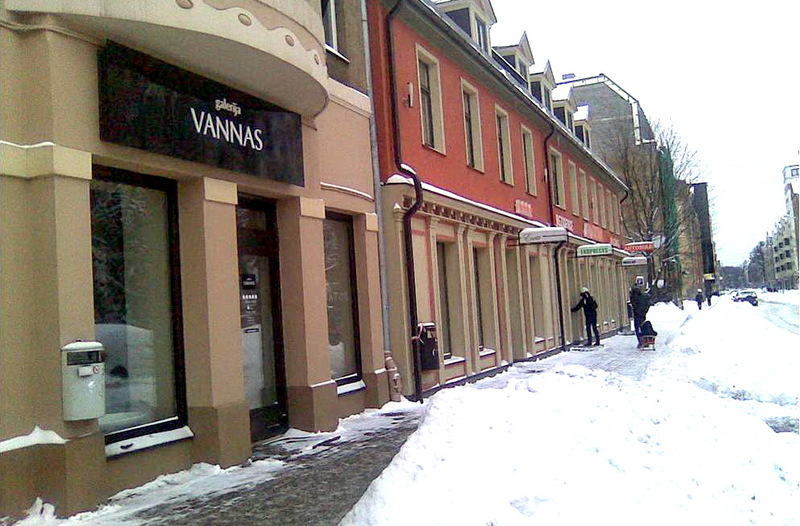 She has set up our line of products in her shop in Riga, the capital city of Latvia, and has been selling up a storm in the last three weeks. She credits her success to referrals from beauticians, shop owners and her first batch of customers. But what she thinks really sells the product is doing presentations. 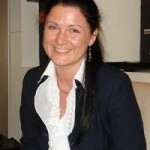 “Green thinking mainly has appeared in the Baltics only two to three years ago,” Agate wrote to us recently. 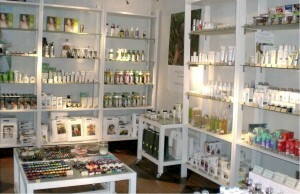 “Now natural products are becoming more and more popular. People are willing to learn why ordinary cosmetics are hazardous, what ingredients to avoid, and of course why Paul Penders products are effective and good for them. We at Paul Penders would like to heartily congratulate Agate. 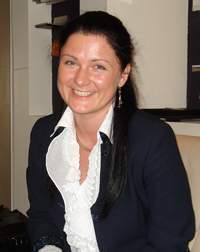 It is a testament to her sales and networking skills that she achieved success so early in a region that is relatively new to the concept of natural cosmetics.